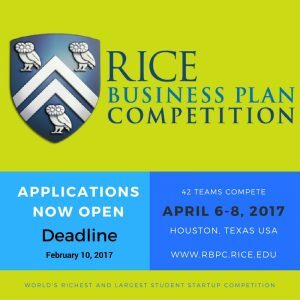 Rice Business Plan Competition Open! The world’s biggest business plan competition for MBA students is accepting applications. Get in there!! !